A lot of developers ask this question about their games. This has led many fighting games to include some kind of simple control mode to let players new to the genre enjoy themselves. Auto combos, one-button special moves, or automatic defense may seem like great ideas to get new players in, but can allow access to powerful abilities not usable with normal controls. Some modes even disallow access to basic gameplay functions entirely as a penalty for using simple controls! These modes may help new players have a good time against each other, but they do little to teach those players the “real” game because they radically change the way you play. We asked a lot of players, “what part of fighting games is preventing you from wanting to dig deeper?” What we discovered was that while most people feel pretty confident that they can throw a fireball, almost no one was comfortable with the concept of canceling a normal attack into a special move. And canceling a normal attack into a special move is so core to KI’s combo system that we ask you to do it 3 to 5 times per combo — and quickly! 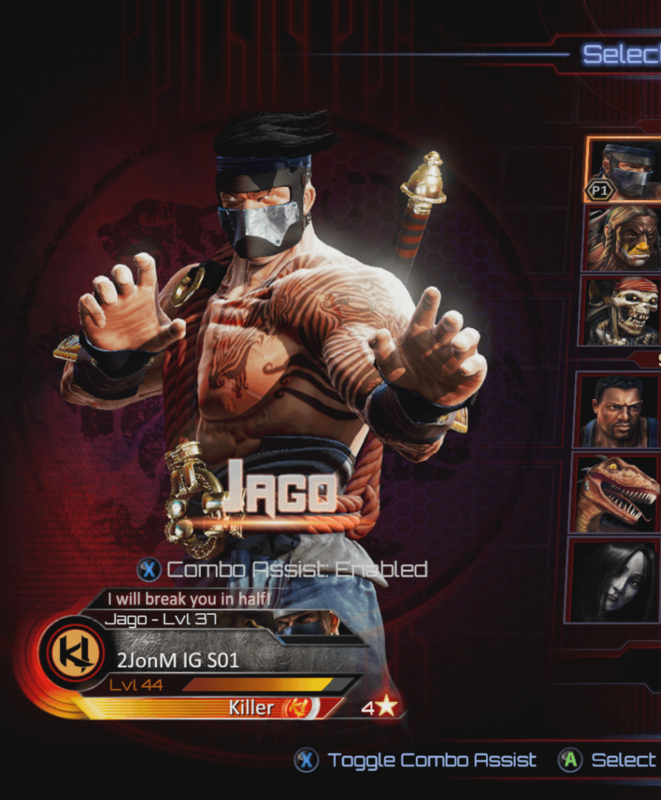 We wanted to help people feel comfortable playing KI, without changing any of the timing or rules. Without providing any competitive advantage. And we wanted to do it in a way that players could use as training wheels to learn how to play and compete in the full, real game at their own pace. So we developed Combo Assist Mode. Combo Assist Mode is an optional control mode that gives you no-motion cancels. The motion input for a special move serves as part of the startup time for the move when performed from neutral. This is a very important part of how the game is balanced and played. In a combo, however, the motions used for cancels are mostly superficial (especially in KI with no charge moves) and change nothing about how the game would be played. All of the timing, all of the cancel windows, everything about the game is the same when using Combo Assist Mode. •If your normal attack makes contact with the opponent on hit or block, and you tap another attack button within the cancel window, you will perform an Assist Opener Special Move. This has all the same negatives on block as doing this normally! •After an opener, tap an attack again to do an Auto Double. This happens even without Combo Assist Mode on, as we all know. •After an Auto Double, tap an attack again to do an Assist Linker. •Ready to end your combo? Hold Forward and press Heavy Punch or Heavy Kick to perform an Assist Ender! It is possible to get through an entire Assist Combo without any special cancel motions! Here is the same combo with Combo Assist on. The timing is identical. The frame data is identical. The only difference is that you perform a couple less motions on the way there. And the best part is that even if you do choose to have Combo Assist turned on, it does not replace your standard controls! It actually works simultaneously with ‘Standard’ controls so you can play doing the full commands yourself, or use the assisted version on the fly! Standard controls always have priority for Specials, Linkers, and Enders, so you are always in control. This allows interested players to slowly wean themselves into the Standard controls without the fear and discomfort of taking the training wheels away all at once! Combo Assist Mode doesn’t change anything about the way you play KI. It might help you start swinging, but you’ll still need to learn to fight in order to win. All the timing is the same. Breaking is the same. Defense is the same. Spacing is the same. Reactions are the same. Combo Assist Mode isn’t about letting people mash and have fun for a few hours, only to move onto a new game. 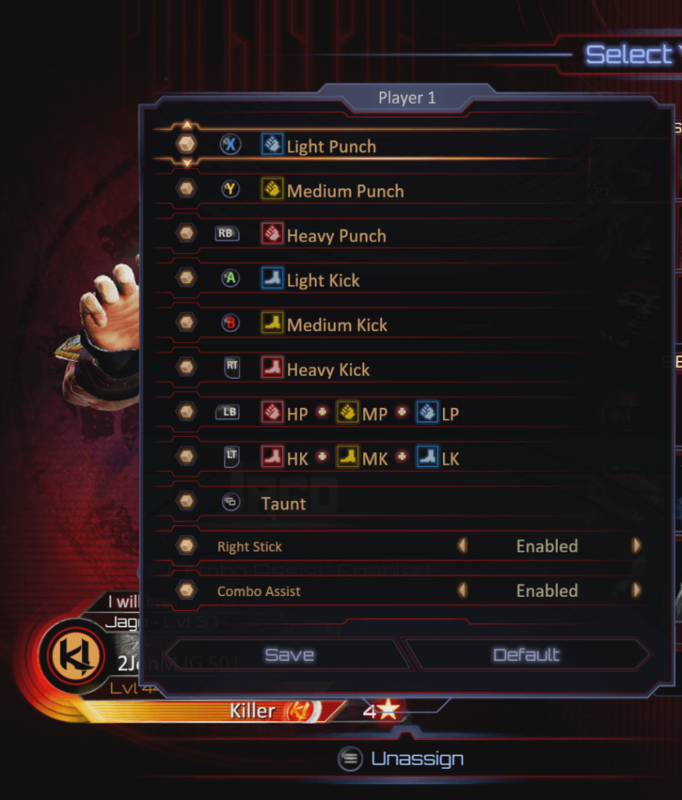 Combo Assist lets you play KI, the real and right way, and helps players learn the game. We all want as many people fighting as possible, and Combo Assist offers no competitive advantage, so you are welcome to use Combo Assist when playing online in Ranked Leagues, or any other mode you choose (including Shadow Labs). We pulled in some well-known KI players to get their thoughts during development. Here is what they had to say. Combo Assist launches in 2.13. We’d love for you to invite friends who have had trouble with fighting games before to try KI with Combo Assist turned on. Let us know what you, and they, think on the forums.